The endocrine system is a complex collection of hormone-producing glands that control basic functions including metabolism, growth, and sexual development. 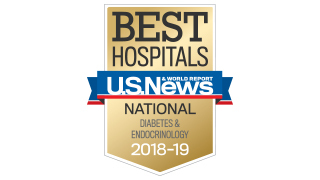 The endocrinology team at the UT Southwestern Monty and Tex Moncrief Medical Center at Fort Worth offers expert care for all disorders of the adrenal, pancreas, pituitary, thyroid, and parathyroid glands. UT Southwestern is a major referral center for patients with the most complex neuroendocrine conditions. Our clinicians work collaboratively with our researchers to provide patients with the most up-to-date therapeutic interventions for endocrinology disorders. 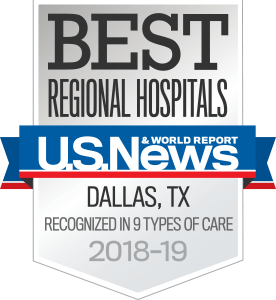 UT Southwestern is proud to bring the expertise of our endocrine specialists to patients living in the Fort Worth area. Our patients also have access to the entire UT Southwestern medical community. We also offer on-site laboratory services. If you have been diagnosed with diabetes, please bring your meter with you to your appointment. If you have been previously diagnosed with an endocrine condition, please bring copies of your medical records to your first appointment. Our staff is happy to assist you. It is very important that you do not run out of your medication. Be sure that you have sufficient refills to last until your next appointment with your endocrinologist. We are happy to provide you with a written prescription upon request.